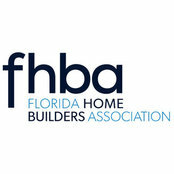 The Florida Home Builders Association (FHBA) is one of the most dynamic trade organizations of its kind in America. Affiliated with the National Association of Home Builders (NAHB) and 26 local/regional home builders associations around the state, FHBA enjoys a legacy of success spanning 65 years. At its core, FHBA is about advocacy and its legislative, legal and political initiatives have worked together to create the best possible economic and regulatory environment for our members to succeed. In addition to advocacy, FHBA provides members with timely news and information; high-quality education; and a wide array of competitively priced products and services. Community service and public awareness are also part of FHBA’s mission highlighted by the trademarked Parade of Homes ® presented annually by local/regional HBAs and student scholarships for members of the Future Builders of America (FBA) program. 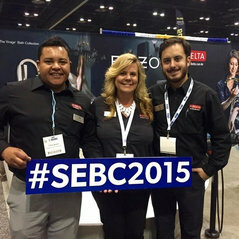 FHBA affiliations include the Southeast Building Conference (SEBC), Florida Home Builders Insurance (FHBI), and the Vendor of Choice program. FHBA is proud of its history and looks forward to a bright future. The mission of the Florida Home Builders Association (FHBA) is to create a climate in which the construction industry can prosper.